USA discover the freedom of USA’s open roads find accommodation from all over America from Florida to San Francisco ideal holiday destinations in the USA. America Rentals in Florida for that Special Vacation. The ideal holiday destination in the USA. Large Orlando Villas Accommodation suitable for Large parties in Orlando Disney Florida. Often a little hard to find here is that list for your vacation. 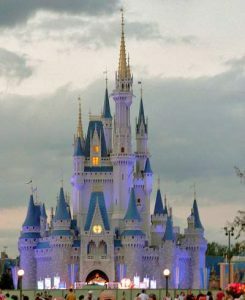 Accommodation suitable for Large parties OR Extended Families in Disney Orlando Florida. San Francisco Accommodation on a Budget In a city that’s constantly reinventing itself, it has endless offerings, from bowling in the Mission to diversions on the waterfront, not to mention creative restaurants and bars. Kissimmee Florida If you’re visiting Orlando’s theme parks, consider staying and playing in Kissimmee, it is the ideal vacation location. 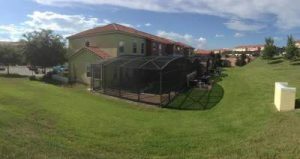 Clermont Orlando Accommodation in Clermont Orlando Florida near to Disney, USA Often called the Gem of the Hills, Clermont enjoys a strategic location that provides easy access to many of Florida’s attractions. Clermont is only a short drive from Walt Disney World and Universal Studios. Clermont Florida A choice of 40 Villas. Floridas stunning year round climate has gained it the nickname the Sunshine State. Regardless of the time of year you decide to visit, rain is uncommon and daily peak temperatures are likely to reach a minimum of 28c. Southern Dunes Golf & Country Club is one of the most challenging and beautiful golf courses in the U.S.A. and has become a local and tourist favourite. 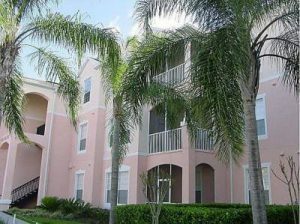 This is a “5 stars” gated Orlando Disney Vacation community – Highgate Park. It is ideally located for all of the major attractions including Disney, Sea World, Universal Studios, Wet ‘n ‘Wild and Cypress Gardens, golf and the whole Florida experience. Nearby 24 hour Walmart Super Center, Publix Supermarket and Restaurants. The Gulf and Atlantic Ocean Coasts and Kennedy Space Center are only an hour and a half away. • Walt Disney World 15-20 minutes away only. The community of Westridge is divided into 3 parts The Manors North and South both of which are gated and the main body of Westridge. Manors has its own facilities and free wi fi in the clubhouse. If you are a golf enthusiast you may choose to play a round next door at Highlands Reserve. Guide to nearest hotel Accommodation to the Airports in America. Airports are listed in alphabetical order, area by area. Lonely Planet USA‘s Best Trips. Whether exploring your own backyard or somewhere new, discover the freedom of USA’s open roads with Lonely Planet’s USA’s Best Trips, your passport to unique experiences waiting along American highways. Featuring 52 amazing road trips, from 2-day escapes to 2-week adventures, you can journey through the Rockies’ spectacular parks or follow scenic Appalachian byways, all with your trusted travel companion. Jump in the car, turn up the tunes, and hit the road! The Perfect Choice: Lonely Planet’s USA’s Best Trips is perfect for exploring the USA the classic American way – by road trip! Planning an Americana trip sans a car? Lonely Planet’s USA guide, our most comprehensive guide to the USA, is perfect for exploring both top sights and lesser-known gems. Looking for a guide focused on a specific US city? Check out Lonely Planet’s New York City guide, San Francisco guide, and Los Angeles, San Diego & Southern California guide for a comprehensive look at all that these cities offer, or Pocket New York City, Pocket San Francisco, and Pocket Los Angeles, handy-sized guides focused on can’t-miss sights for a quick trip. Take A Break Holidays takeabreakholidays, USA Accommodation.